Known as Manchuria in ancient times, the Jilin Province was a prominent business and trading zone. Jilin is situated in the northeastern regions of China. The region was occupied by different nationalities during different periods of time. The longest occupation was by the Wuji and the Mohe civilizations. The region’s prosperity, natural and manmade attractions, a pleasantly mixed culture, and well-developed infrastructure make it a very popular tourist destination. Jilin Province is bordered by Russia in the east. The Changbai Mountain Range runs along the southeastern border between Jilin and South Korea. At more than 2,700 meters above sea level, Mount Paektu is the highest peak in the range. Other ranges include the Zhang Guangcai Mountains, Jilinhada Mountains, and Longgang Mountains. Therefore, more than 43% of the provincial land is covered by lush green forests. There are many rivers that flow through Jilin Province and add to its appeal. The Yalu and Tumen Rivers flow in the southeastern districts, turning it into a beautiful green landscape. Together, they form a natural border between Jilin Province and North Korea. The various tributaries of the Liao River flow across the southwestern districts. The Songhua and Nen Rivers, tributaries of the Amur River enhance the landscape in the north. The province of Jilin has four distinct seasons. The overall climate is of the humid continental type. The summers are short and warm with temperatures ranging between 18oC and 35oC. While the winters are long and last from November till March due to the chilly Siberian winds. The temperatures in winter range between -14oC and -20oC. There is heavy rainfall in the summer season between the months of June and August so the weather is usually clammy and uncomfortable. Despite the cold weather, the best time to visit the Province is in the months between December and March when the ice and snow festivals are on. The alluvial black soil in Jilin Province has made it one of the most fertile landscapes. 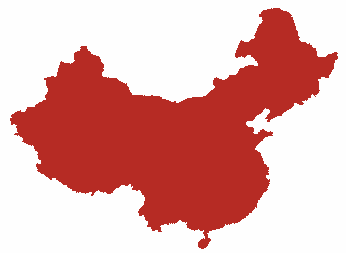 This fact has given the region the title of “corn belt of China”. The region has abundant natural resources like oil shale, fossil fuels, iron, talc, nickel, gypsum, molybdenum, graphite, cement-rock, cinder, coal, and precious metals like gold and silver. There are large towns that have sprung up due to the large-scale mining and processing activities. Jilin is also the largest producer of wollastonite which is used in many industries like ceramics, chemical refining, chemical fibers, bio-engineering, textiles, agro and food industry, automobile braking systems, metal refining, paint fillers, and the manufacturing of plastics. Tourism and allied services have evolved over centuries. The pharmaceutical industry is very large with branches like the production of mini-molecular medicines, traditional Chinese medicines, and biopharmaceuticals. Consequently, the cities and towns have grown in agricultural belts and industrial pockets. 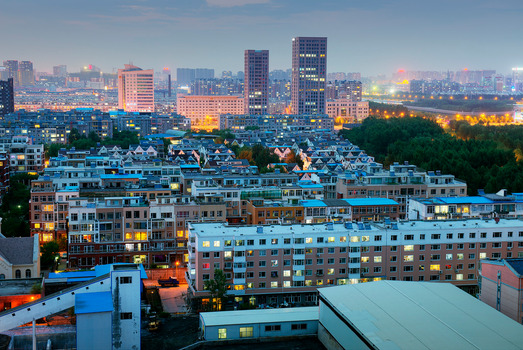 The large urban areas include Changchun (capital of Jilin Province), Baicheng, Baishan, Liaoyuan, Siping, Songyuan, Tonghua, Yanji (in Yanbian, a Korean Autonomous Prefecture). Over many centuries of migration, the Han Chinese have become the dominant ethnicity in Jilin Province out of the 27.50 million population. Other ethnic minority groups include the Koreans, Manchu, Mongols, Hui, and the Xibe. The locals are well-educated and cultured with a tourist-friendly attitude. There are countless schools, colleges, and universities that render education in Information Technology, agriculture, optics and fine mechanics, electrical and electronic engineering, science, medicine, and more. There is a large student body in the Province and are involved in various types of team sports. There are a host of festive activities in Jilin province, which are organized by the local government. 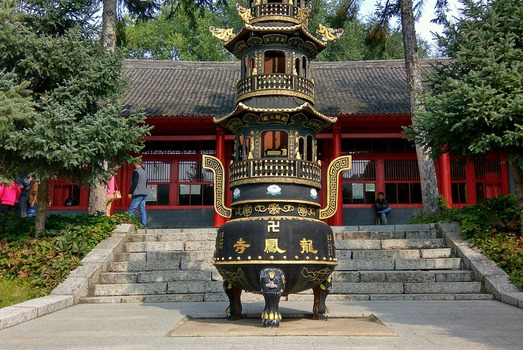 Among them, the Changchun Film Festival, Changchun Automobiles Exposition, Jilin Wusong Ice and Snow Festival, Tonghua Ginseng Festival, and Mount North Temple Fair are world-famous festivals and popular with the tourists. Paper cutting is a very ancient ethnic art form in Jilin Province. In fact, this simple art form has inspired the Baishan Stone Carving Park at the foot of the Changbai Mountain. Changchun Longjia International Airport, Yanji Airport, and Tonghua Liuhe Airport have a comprehensive service of domestic and International flights. These airports are connected to other major cities in China and overseas. There has been a major improvement in the infrastructure in the region, especially of national highways and arterial railways lines. The air, road, and rail transport system form a very efficient transport system to reach even the farthest tourist attractions in the Province. Some of the must-sees include the Ancient Tombs on the Donggou River, Ancient Tombs at Liuding Mountain, Hwando Mountain Fortress (UNESCO World Heritage Site), Lingguang Pagoda, Baliancheng Site, Goguryeo Ancient Site (UNESCO World Heritage Site), Xituanshan Burial Site, Longtanshan Fortress, Mausoleum of Princess Zhenxiao, Meteorite Museum, Jilin Confucian Temple, Headquarters of the Linjiang Campaign, Ashihada Stone Inscriptions, Wen Miao Confucian Temple, and others. The Jingyuetan National Forest Park, Xianghai National Nature Reserve, Rimmed Trees of Jilin, and the Changbaishan National Nature Reserve with its Heaven Lake are favorite attractions for naturalists, photographers, biologists, and tourists. The Songhuahu National Park is a spectacular ski resort. The cuisine of Jilin is strongly influenced by the ethnic minority style of cooking, especially Machu and Korean specialties. They use pork, blood sausages, mixed vegetables, beef, dog meat, and pickled vegetables in their dishes. Some of the popular specialties are sweet and sour pork, Korean cold noodles, steamed chicken with ginseng, Manchu-style Three Set of Bowls meal, Hui Baozhen dumplings, braised pork with vermicelli, Qingling fish, white meat with black pudding, and Jilin fried start (snack).